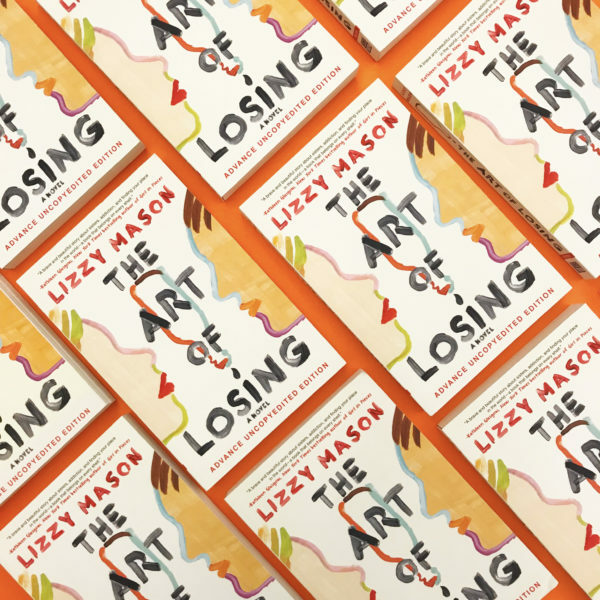 Lizzy Mason’s The Art of Losing is a compelling debut that explores issues of addiction, sisterhood, and loss. It’s an honest, raw, and moving account of how, in a single night, 17-year-old Harley Langston’s life changes forever. 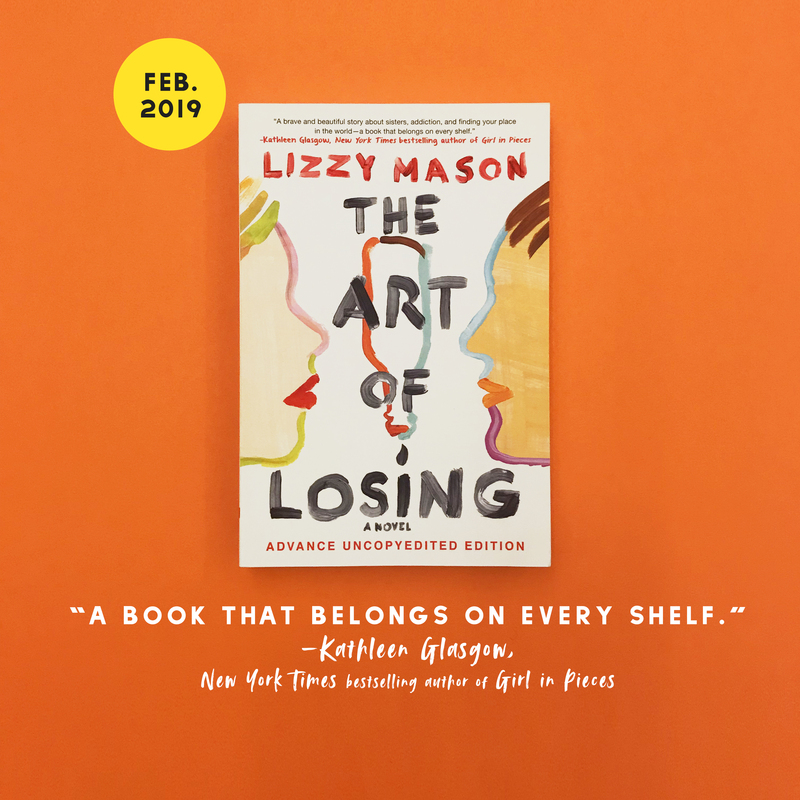 The Art of Losing publishes next month. 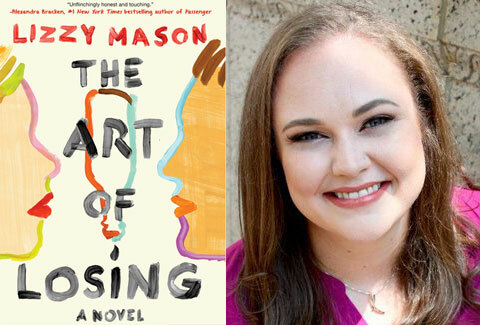 Below, Lizzy Mason answers questions about the book’s concept, research, and ambitions. In The Art of Losing, Harley Langston has just had the worst night in her seventeen years of life. At a party, her boyfriend cheated on her with her sister, Audrey, then got in a drunk driving accident that left Audrey in a coma. With her now-ex-boyfriend away at rehab, Harley is left alone with her anger, guilt, and sadness. But with the help of an old friend who’s just gotten sober, she learns about addiction, discovers strength within herself, and finds a path to forgiveness. What attracted you to the idea/concept of the book? I started writing the scene where Harley walks in on Mike and Audrey the night my ex-boyfriend told me he’d cheated on me while he was drunk. I was devastated and furious, but I was also ashamed. I worried people would think less of me if they found out. And so we stayed together too long, trying to make it work. That scene started out in a different book, but after a friend of mine died after drinking and taking pills, I scrapped everything but that scene and started over. It took a long time to finish the book and to shape it into the story I wanted to tell, but I’m proud of where it ended up. What kind of research was required? Largely medical research. Audrey is in a coma for the first half of the book and I wanted to be sure that experience was authentic. Luckily, my dad is a surgeon (like Harley’s dad) and I was able to ask him a lot. The internet is also full of accounts from families like Harley’s who are waiting for a loved one to awaken after a head trauma, which was heartbreaking but really helpful. Which books or authors influenced you? My favorite book when I was a young teen was Life Without Friends by Ellen Emerson White. It’s about a girl who loses all of her friends after her boyfriend, a drug dealer, kills a classmate of hers. It’s such a bleak start to a story but it’s about a family rebuilding itself after tragedy and a girl figuring out who she is and what she wants. I decided I wanted to write a novel after reading The Solace of Leaving Early by Haven Kimmel, which is about a young woman reevaluating what she wants to do with her life after dropping out of grad school when she meets two young girls who were the only witnesses to their mother’s death. I’m drawn to stories that are introspective, character-based, and that make me cry while they make me think and that’s what I’m trying to write. Did anything not make it into the book that readers might find surprising or interesting? In the original version of this book, Harley spent her time in the hospital with Audrey reading “Missed Connections” online and trying to play matchmaker with the people who wrote them. It was such a hopeful thing for Harley to do, and it made her believe in love again, but it was also distracting and a little out of character for her. But maybe someday I’ll get to use that plotline in another book. When readers finish the book, what do you hope they will think and feel? I think a lot of teens will see someone they know in this book. Maybe even themselves. But I hope The Art of Losing inspires them to avoid drugs and alcohol, and better understand those who can’t. But I also hope it teaches them to stand up for themselves and demand respect from the people they love.